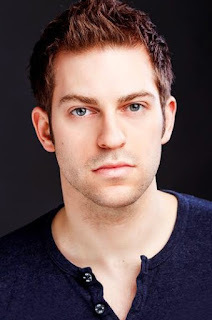 Actor Jon Robyns has had a long and multifarious career in theatre. Known to many for originating the dual roles of Princeton and Rod in the West End transfer of Avenue Q, or as Enjolras in the 25th anniversary tour of Les Miserables, more recently Robyns' theatre work includes alternating the role of Huey Calhoun in the West End production of Memphis, and starring as Caractacus Potts in Chitty Chitty Bang Bang at the West Yorkshire Playhouse. This year Jon Robyns is starring as Robbie Hart in the UK Tour of The Wedding Singer, a musical adaptation of the 1997 film which starred Adam Sandler and Drew Barrymore. Like many of the audience members who are flocking to see the new tour, Robyns saw and loved the film when it was first released, also caught the theatrical adaptation when it last toured the UK in 2008. Explaining what drew him to the show he says 'I loved the music, and I thought it was very clever'. The musical features new music and lyrics by Matthew Sklar and Chad Beguelin, in addition to several songs from with original film, which were penned by Adam Sandler and Tim Herlihy. 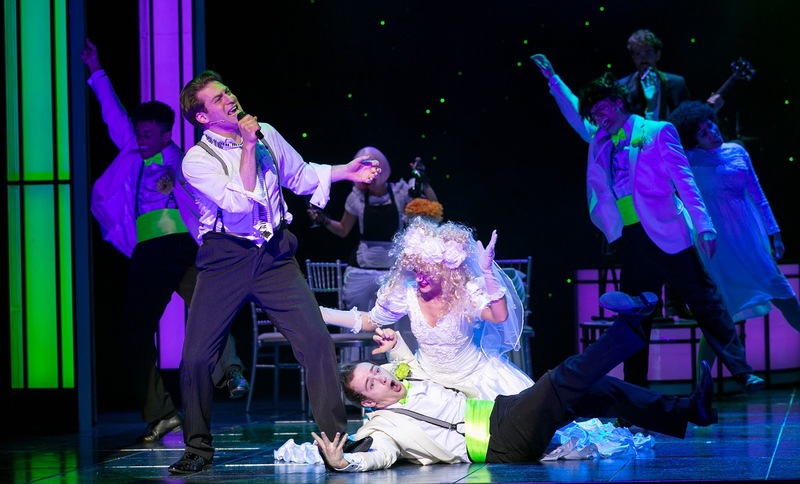 With a familiar title, fun and frothy story and excellent tunes, The Wedding Singer is a difficult show to fault in terms of entertainment value, and subsequently, Robyns says, 'when the producers approached me to do it there was no hesitation at all'. The Wedding Singer first appeared on stage in 2006 when it debuted on Broadway and was subsequently nominated for a Best New Musical award at the 2006 Tonys. Since then it has toured the US and the UK several times, in addition to a number of other international productions in countries like Australia, Japan and Germany to name but a few. With such an impressive record, it seems obvious that this new production would be received just as well, but, of course, with such a variety of touring theatre on offer, and with audiences tastes constantly changing, nothing is certain. 'The thing is, when you’re rehearsing a show you don’t actually know. You kind of get an inkling for that the people you’re working with are brilliant, or the material is great, or that it looks or sounds great, but until you put it in front of an audience you don’t know.' Robyns explains when discussing whether he got a sense of the show's potential for success during rehearsals. Thankfully though, The Wedding Singer has received a slew of positive reviews, and excellent word of mouth as well. 'We’re very lucky that we’ve had such great creatives, people that knew what was going to work and what wasn’t' Robyns articulated, adding 'I’ve been really lucky to be doing such feel-good shows that people want to see'. The current touring production of The Wedding Singer started life at the Leicester Curve in February of this year, and is due to tour the UK until October 2017, and this isn't the first time Robyns has worked with creatives at the Curve. In April 2016 he starred as Harvard teaching assistant Emmett Forrest in Legally Blonde, and then took on the role of Philadelphia police officer Eddie Souther in Sister Act, alongside pop star Alexandra Burke. He spent the latter half of 2016 touring with Sister Act before leaving to rehearse and subsequently tour The Wedding Singer. 'Every show has its challenges, and getting it into different size theatres with different size auditoriums and sounds systems can be a challenge, but the joy of a new town discovering a show always makes up for it' says the actor of his busy schedule, summarising that the experience of moving on from one tour to another so quickly has been 'difficult and wonderful all at once'. A fan of Guns and Roses and Michael Jackson, Robyns has found that he's discovered a lot more 80s music since his involvement with The Wedding Singer began, explaining that 'the music in this show pastiches 80s stuff really well, so I wanted to know what it was pastiching. It’s a wonderful era for music and I think the show captures it really well'. But does the actor have a favourite song in the show itself? 'Somebody Kill Me, a song taken from the film, which Adam Sandler wrote, just because he’s a comic genius and it’s a perfect opportunity to just let rip. I really love those moments'. Adam Sandler's connection to the role of Robbie Hart is undeniable thanks to his original performance in the film, therefore some audiences may be wondering how the stage adaptation may compare, but Robyns is quick to reassure audiences that as good as the film is, the stage adaptation has its own merits. 'A movie is an interesting entity that I think people sometimes have trouble letting go of, but the stage adaption and the movie are different enough so that everyone can relax into it', he clarifies, adding that 'the writers have done such a great job of coming up with such a 3D character in the script, so as the actor it’s never your job to create what the character is in its first instance. It’s just your job to interpret what the writers have given you, for an audience. As long as you stick to what’s true in the script then you’re fine'. It sounds like audiences are lapping up The Wedding Singer. Touring until October 2017 there are plenty of chances to catch it at a number of big venues around the UK. Visit theweddingsingermusical.co.uk for more information and to book tickets.